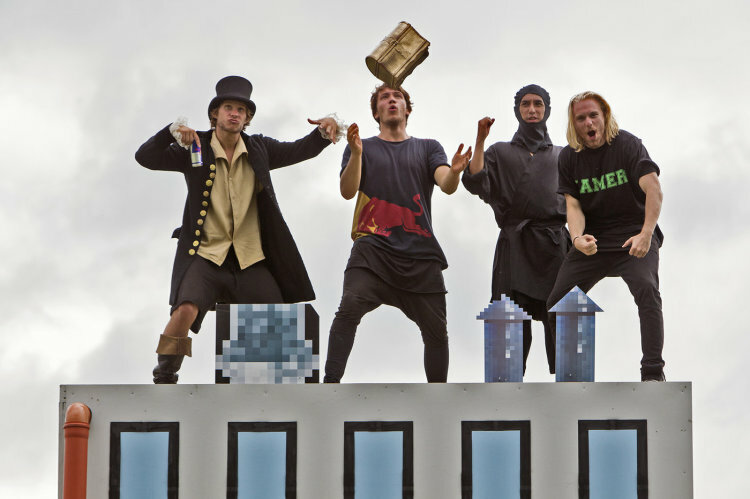 Jason Paul, a German freerunner, and fellow members of Team Farang performed an impressive array of stunts on a moving train, which were transformed into a real-life 8-bit side-scroller with help from some creative scenery. The scenery is built in the look and feel of a 2D video game and reminds of legendary arcade games. Jason Paul needs to find the way out of a Maya temple, has to fight Ninjas before he finds his way over sketchy roof tops to the spot of the big show down.